It was really incredible. In Berlin, huddled outside of a bar, by Germany’s fifth goal the crowds were hardly animated. Surely, there was applause but it ended quickly and it was followed by shaking heads, murmurs, and a general confusion. People here were as stunned as the people far away over there. The entire time, I asked myself, is this real? Walking home, the typical German victory parades of motor vehicles honking their horns were nowhere to be found. Order and Progress for Who? To whom belonged the fault for such a terrible failure? The immediate response usually circles around Neymar and his cult of personality. People loved or hated him (I must admit my bias, I am of the latter crowd). But he symbolized something as did all of Brazil’s football legends since Pelé: a single figure, backed by a trustworthy teammate, dancing brilliantly through the field. Like the words emboldened on the national flag there is a natural order and progress to their game. They dazzle with the promise of glorious future. But this myth of trickle-down glory — that the brilliance of two men could be part of all Brazilians — was suddenly laid bare. Neymar was hospitalized in a hit, that when it happened, looked exaggerated. And Silva was punished for his arrogance, and his crippling short-sightedness. What was suddenly revealed was the gross inequality of skill. Without these two images of brilliance, the team was awkward and bumbling, unable to catch up. Suddenly, it seemed like a metaphor. Without the beautiful beaches and the picturesque jungles and the glitter of carnival, what do you have? A country neglected by a false promise of order and progress. For the Brazilians, their victory was completely tied to the images of Neymar and Silva. To a degree, it cannot help but remind me of the promises of Lula and the Worker’s Party. Images of a better tomorrow, of a fiery new hope, of a Brazil standing before a global audience, announcing its arrival to the tune of resilience and success. But this narrative is broken into multiple fragments. Neymar’s back appears to be as weak as anyone else’s, and Silva’s pride is just as deadly. 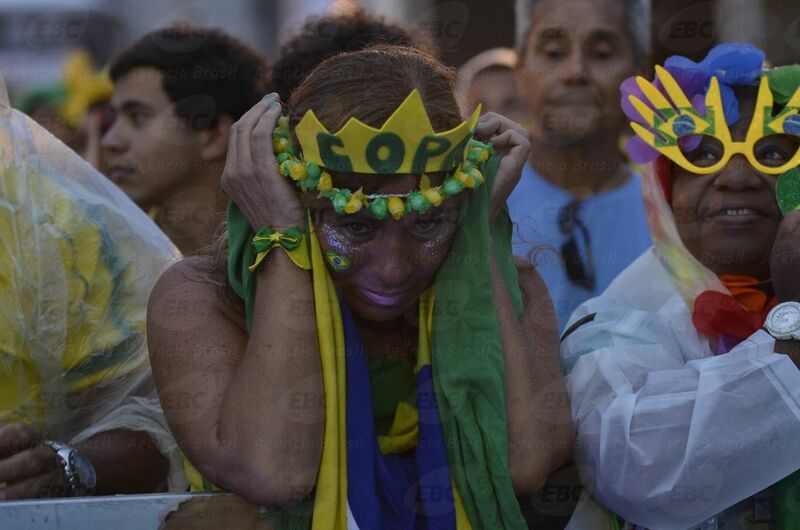 Kicked from the pitch (and the television set), Brazilians will return to nothing new, only more of the same. To the trained observer (or someone armed with a bit of curiosity and google translate), it seems the protest was jailed or simply not allowed. Police moved in quick and hard before people could even assemble. Rebellious workers were fined into submission. Meanwhile, members of those autonomous organizations that most challenged the status quo were jailed on charges of conspiracy. It seems the main cost for Brazil’s failure in the field (as well as its economy’s spectacular free fall, and its Workers’ Party’s loss of legitimacy) is democracy itself. In all the hype for an incredible defeat, so much was sacrificed, for what seems to be absolutely nothing. The poor education will still be there. The long hospital lines will return. The unions will still have been fined. Community leaders will still have been jailed. The promise of trickle-down economics still hanging above their heads. All that will be new are the enormous stadiums built and emptied, old symbols of a promise that never was, and a burning humiliation. Bread and games. But for how long? This entry was posted in Uncategorized by conjuncture magazine. Bookmark the permalink.